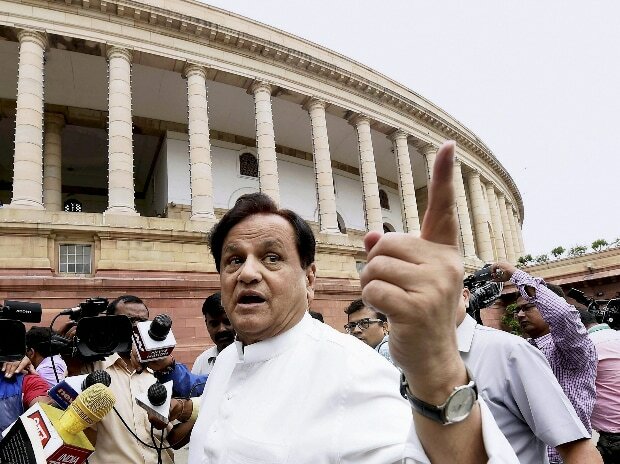 The Supreme Court Thursday asked veteran Congress leader Ahmed Patel to face trial in the Gujarat High Court in connection with his election to the Rajya Sabha in 2017 which has been challenged by rival BJP candidate Balwantsinh Rajput. The apex court declined to interfere with the October 26, 2018 order of the High Court which had said that Rajput's allegations require a trial. "Let the trial go on," said a bench comprising Chief Justice Ranjan Gogoi and Justice S K Kaul.